Braemar’s 2010 Holiday Party was Great Fun! Braemar’s 2010 Holiday Party was great fun. Residents began arriving to the Braemar Clubhouse around 6pm. 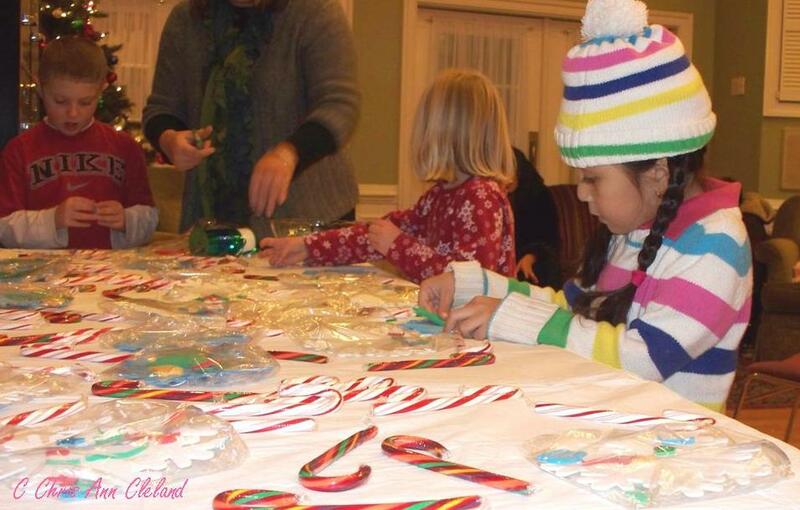 The festivities (pictures with Santa and Hayrides) weren’t supposed to start until 6:30pm, but we had the refreshments and craft table set up so while waiting for Santa to arrive, some little ones began their holiday crafts while parents enjoyed refreshments and waited. Santa was a tad late to the party, but didn’t seem to upset anyone. Who is going to really be mad if Santa is late as long as he shows up, right? He got to see all the kids and give them a small gift. Meanwhile, the horse-drawn hayrides were in full swing. And what beautiful horses they were–Clydesdales. The jingling bells on their necks and the snow dusted ground around them could not evoke a more holiday-like spirit. The craft table (my designated area) was a hit. The kids liked their foam snowflake ornament with peel and stick foam accessories. Some snowflake ornaments left bejeweled in Santas and presents while other left adorned with Christmas trees and glittery tree ornaments. By the end of the party at 8:30pm. alll the residents that wanted a hayride or refreshments had enjoyed them. And I was pleased that while working the event, I got to have my picture taken with Santa and my Braemar Activities Committee partner-in-crime, Pam Stangler. What a great community event. 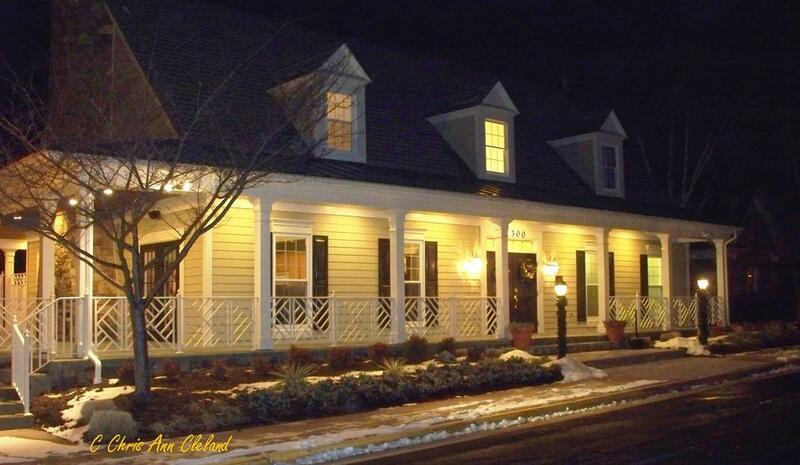 Tonight is the 2010 Holiday Party for residents of Braemar. It will be held at the Braemar Clubhouse on Iona Sound Drive. Festivities run from 6:30pm -8:30pm. What festivities? Well, I’m glad you asked. 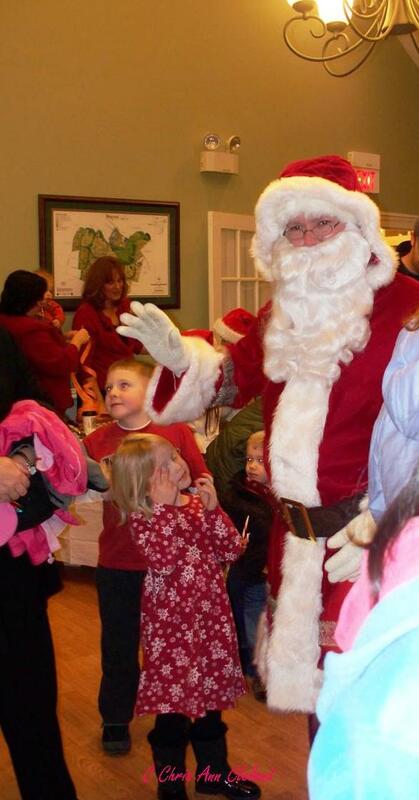 There are three events that run concurrently at the Braemar Holiday Party, which is aimed to be kid-friendly. The first is horse drawn hayrides. The second is pictures with Santa. And the third is a holiday craft for the kids to enjoy. Don’t worry. The craft won’t be messy. It’s a foam snowflake ornament with peel and stick decorations. What party would be complete without refreshments? There will be hot apple cider, cookies and candy. There will also be door prizes. And the winners of the Braemar Holiday Lights Contest will be announced and given their prizes. I hope that you will come down and join the fun.